Beautiful Bali, also known as Land of the Gods, and its sister island, Lombok, are the jewels of the Indonesian crown. Sailing between the two, you’ll discover endless white sandy beaches and swim in flawless turquoise waters teeming with manta rays, giant ocean sunfish called Mola Mola, sea turtles, colorful clownfish, and every tropical species under the sun. Are you in? 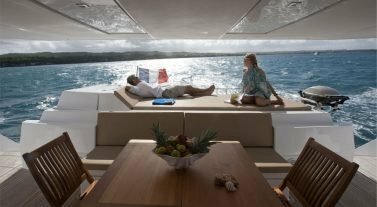 Get a free quote to start the charter process. 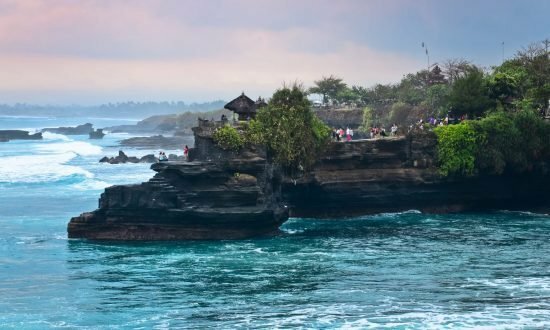 The Republic of Indonesia is the world’s largest archipelago: a lush kaleidoscope of over 13,000 tropical islands – some still uninhabited and unnamed. Indonesia stretches along the Equator for thousands of miles from the Malay peninsula to New Guinea in the East. Visit a historic temple and mingle with the friendly inhabitants of island communities. Even in fairly isolated areas, you are likely to find a local who speaks at least some English. Hiking trails are common, which makes it easy to explore panoramic vistas and experience some of the most beautiful sunsets on Earth. Every day brings a new adventure. Cruising the waters of Bali, you’ll anchor at one spectacular port of call after another. Island hopping has never been so effortless – or so much fun! Tourist Visas (required): A 30-day visa is issued by the customs authorities to French, Belgian, Canadian and Swiss passport holders arriving in Indonesia for $25 (you have the option to convert your travel currency at the daily exchange rate). You must show a passport that is valid for at least six months after the date of your planned reentry into the U.S. Remember that it is possible to obtain a tourist visa for 60 days ($65*) by visiting the Indonesian embassy in your country prior to departure. *In U.S. dollars as of 5/22/14. This amount fluctuates based on the current exchange rate. You can take 2 liters of alcohol and 200 cigarettes into Indonesia. Note that the price of cigarettes is very low in Bali: 12,000 Indonesian rupiahs (IDR) equal 1.04 U.S. dollars (USD),* which is the cost for a pack of American cigarettes. It is, of course, forbidden to take drugs, weapons or other contraband into Indonesia. If you have questions about what is permitted, please consult your Dream Yacht Charter representative. *As of 5/22/14. This amount fluctuates based on the current exchange rate. Greenwich Mean Time (GMT) + 8 hours is the local time in Bali. GMT + 7 hours is the local time in Jakarta and on the entire island of Java. Please note that Indonesia does not observe Daylight Savings Time. Bahasa Indonesia has been the official language of Indonesia since independence in 1945. In tourist areas, local inhabitants frequently speak English. The local currency, the Indonesian rupiah, will make you a millionaire! Before traveling, check the current rate of exchange. Currency Conversion: Currency conversion is typically very easy in places like Bali and Java. 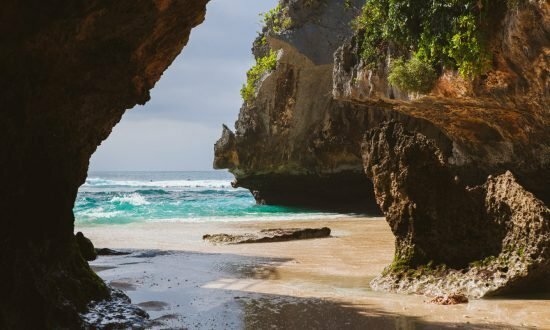 However, it can be a bit more complicated and challenging in more out-of-the-way places like Sulawesi and almost impossible in Flores, Nusa Lembongan and the Gili islands. Make sure that your bills are in very good condition. Traveler’s checks are changed at a slightly lower rate, but they are widely accepted if they are provided by American Express. Exchange booths offer better rates than banks, but you risk being scammed if you use them. Our guides will show you the best alternative based on the locations you are visiting. Credit Cards: American Express, MasterCard and Visa credit cards as well as Visa International prepaid debit cards are accepted by major hotels, restaurants and shops. But elsewhere keep in mind that credit and prepaid debit cards may not be accepted. Also remember that credit card fraud is unfortunately quite common in Indonesia. We advise you, if possible, to limit your ATM withdrawals. (ATMs are widely available on Java and Bali and in the tourist centers of Lombok). Vaccines: Vaccinations prior to your stay in Bali are not required. However vaccinations against hepatitis A and B, meningitis, and typhoid fever may be recommended. Having older vaccines-diphtheria, pertussis (whooping cough) and tetanus-updated might also be wise. In all cases, vaccinations prior to travel are a personal choice and an individual responsibility. Bali is a reasonably safe place with respect to your health, if you take some precautions with food, water and sun. Those living in the U.S. may wish to visit the Centers for Disease Control and Prevention (CDC) web page on health Information for travelers to Indonesia. Sun Protection: Always use protection from the sun. The sun is especially strong in Bali and other tropical destinations. Wearing a cap or hat is recommended. Sun blocks and lotions are easy to find locally, but if you have products that you really like, you are advised to take them with you. Medical Care: Sanitary conditions in Bali are close to Western standards in many places. But price generally dictates the level of cleanliness and care. Some private clinics serve only tourists. Their equipment meets international standards, and the prices they charge may be higher for that reason. It is very rare for tourists to suffer anything more severe than diarrhea of short duration (due to the change in diet) or a cold (be careful with running air conditioning or a fan overnight) or sunburn. Indonesian weather is warm all year round, from 77 to 90 degrees Fahrenheit. It is cooler and drier from June to September. And the weather is significantly wetter from January to March. 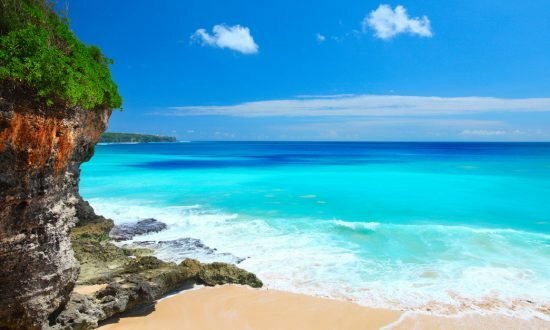 Compared to most tropical destinations the weather in Bali is very pleasant, with a wind that never ceases to caress the island and lowers the heat. 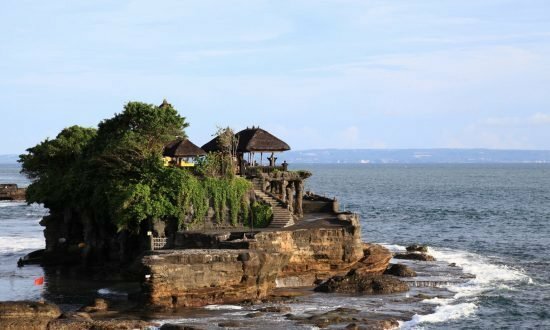 Unlike the monsoon period in mainland Asia, when rain falls in Bali, it is not too prolonged (and it usually takes place at night or in the late afternoon). The sun rises at 06:00 and sets at 18:00 throughout the year. 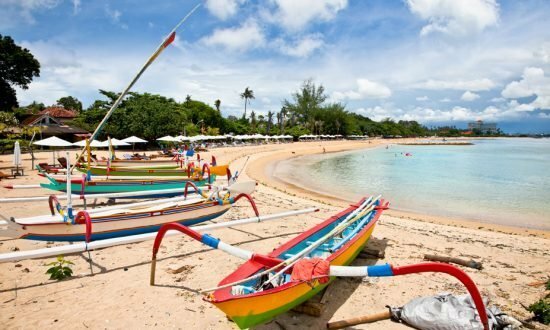 Day 1: Sail to Sanur beach which extends over 5 km on the east coast of Bali. Safety briefings will commence followed by dinner and a night at anchor off Sanur. Day 2: After morning swim, sail to Nusa Lembongan to Mushroom Bay, which got its nickname from the mushroom coral in the surrounding reef. The inhabitants are mainly Hindus who manufacture traditional wooden boats and cultivate algae for carrageenan production. Make a short trip south to “Manta Ray Bay” for snorkeling. Anchor for the night in Cenningan channel. Day 3: Early departure to the Gili Islands – the “Turtle Capital of the World.” White sand beaches, lined with coconut trees and surrounded by turquoise waters, these three islands are a vision of paradise. In the south of Gili Meno, the smallest of the three, you’ll have time for snorkeling and exploring this quiet and friendly spot. You can visit the turtle sanctuary with its little pools on the beach, teeming with baby turtles. Surrounded by coral reefs, the Gilis sport a colorful underwater world – turtles, manta rays, clown fish, and countless species of colorful fish are on parade. Gili Air was the first island to be settled by fishing families. Coconut plantations and fishing are still important for the local economy. The beaches here are the best in the Gilis, as well as the easy-to-find snorkeling sites. Day 4: On the west of Lombok, Senggigi is one of the most picture-perfect spots you’ll see on this trip. Lombok is a colorful mixture of Balinese, Chinese, and Arab influences. Senggigi offers spectacular landscapes with sweeping bays, coconut palm-fringed white sand beaches, and jungle-clad hillsides. 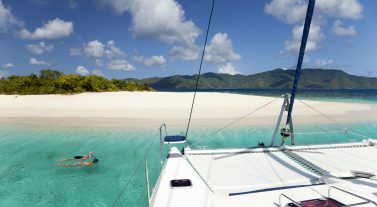 It also offers wonderful snorkeling spots. If you’re interested in taking a half-day trip inland, You can visit the monkey forest, the local market, and the Temple of Lingsar, which was built in 1714 and is nestled in enchanting rice fields. Day 5: Continue to the island Poh for snorkeling. Later you will sail to Gili Nanggu, a small island off the west coast of Lombok with lush vegetation. Swimming and anchoring for the night. Day 6: Further along the Southwest coast, visit other beautiful places for snorkeling off various small islands. This coast boasts pristine, secluded beaches, tiny offshore islands in turquoise water, pearl farms, old mosques and friendly people. You’ll spend the night anchored off the island Gede. Day 7: Set sail toward Nusa Penida (Crystal Bay), a beautiful beach on the north coast of the island of Nusa Penida. Here, time seems to stand still, and people live quietly and traditionally. Spend the afternoon in this small, tranquil bay on the brightest white sand beach in Bali. It’s also one of the best snorkeling locations in the world. In the afternoon, sail to the lagoon of Pulau Serangan for your last night on board. Day 8: Set sail, disembarking after breakfast in Benoa Harbor at Bali Marina. Several companies fly to Bali ( Emirates, Quatar airways, Malaysia Airlines). Transfer costs are valid for payment upon reservation. In case of payment on spot by client a 15% surcharge applies. Soft luggage, no suitcase (rigid suitcases are too cumbersome). In case of early arrival please get in touch with base manager.